The facial recognition security feature of Apple’s iPhone X has been rejected by Korean banks due to security concerns, which might cause inconvenience to users wanting to use mobile banking services here. Following reports that the security of the new phone’s Face ID had been broken by hackers, local banks are hesitant to adopt the biometric authentication technology, according to the financial industry Monday. Around 20 commercial and online banks said they would not provide a facial authentication option to authenticate customers when they attempt to log in to their accounts. They include online-only banks Kakao Bank and K-Bank, as well as commercial banks Kookmin Bank, Shinhan, IBK, Busan and NH. Apple ditched its traditional fingerprint scanner for its 10th anniversary iPhone X and instead adopted Face ID as the only biometric security feature, unlike the new Samsung Galaxy series that offers facial, iris and fingerprint scanners. This means users of the iPhone X, which began preorders in Korea on Friday, have only the option of going through the extra hassle of installing several apps for authentication. The key factor behind the banks’ hesitance is security concerns on the biometric authentication following a series of reports on iPhone X’s hacking issues overseas. Last week, a researcher in Vietnam demonstrated how he fooled Apple’s face recognition ID software on its new iPhone X using a mask made with a 3-D printer. 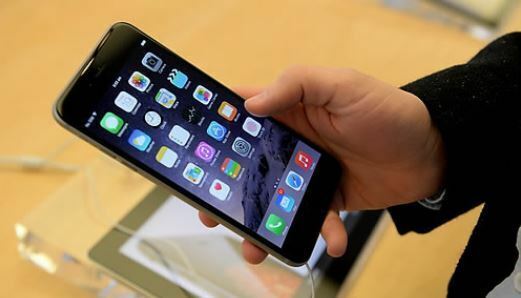 On Saturday, a boy in New York was reported to have unlocked his mother’s phone after a second staring at it. “It was difficult for us to adopt the biometric technology (of iPhone X) abruptly, since it normally takes some time to undergo several security procedures before adopting a new technology. Plus, the phone’s facial authentication technology was not fully proven,” said an official at Kookmin Bank. However, some industry watchers and banks say things may change in the future, as it is too early to judge the application since the phone has just arrived here. Woori Bank and Kookmin Bank said they are now reviewing the possible adoption of a facial recognition feature. “Local banks are not yet prepared for the Face ID security feature. However, with the rise of iPhone X sales and its security technologies proven, banks will have to follow the digital trend,” said Kim Jong-ki, a researcher specializing in the mobile industry at the Korea Institute for Industrial Economics & Trade. Globally, some banks in the UK, Australia, New Zealand and Canada confirmed support for Face ID to provide compatibility with Apple‘s new facial recognition technology.